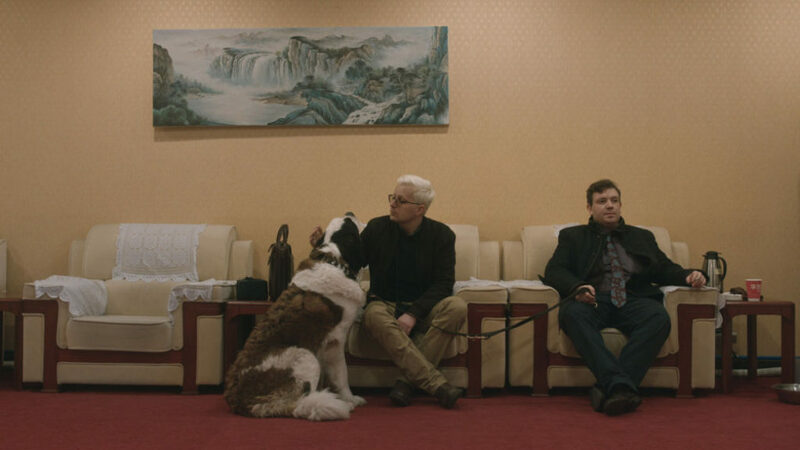 A business opportunity brings two unlikely partners to China, along with a prized Saint Bernard in this funny indie. 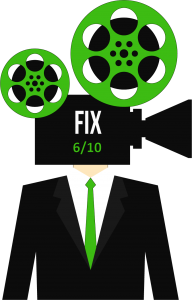 When Frederik (Frederik Cilius Jørgensen) runs into Rasmus (Rasmus Bruun) at an old school function, he immediately pitches his nerdy and introverted ex-schoolmate on a risky business idea. A failed entrepreneur, Frederik’s track record has alienated him from his family and friends. But this new idea, at least theoretically, could work. 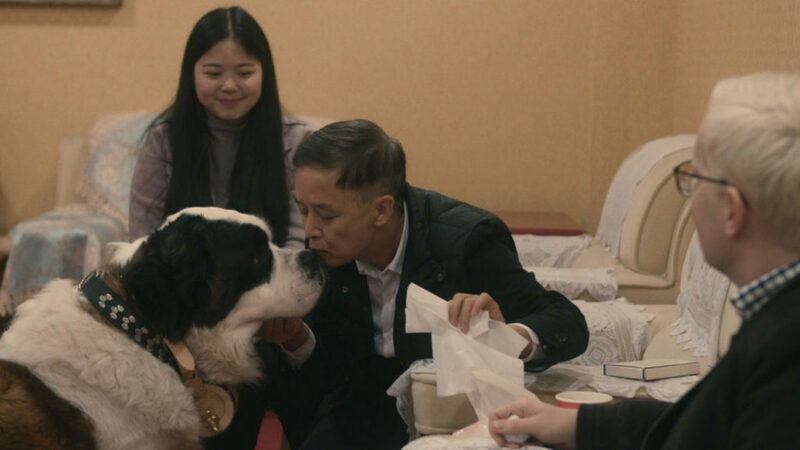 Frederik wants to bring the joy of Saint Bernard ownership to the people of China, and he intends to raise the cash in order to construct a large-scale breeding facility there. The dog, Dollar, steals the show. Funny and, at times, touching, director Mads Brügger has some difficulty maintaining the saucy tone as Rasmus struggles with a potential life-ending illness. But the culture clash as the two men relocate with their trusty dog, Dollar, to China is good for some meaningful laughs. 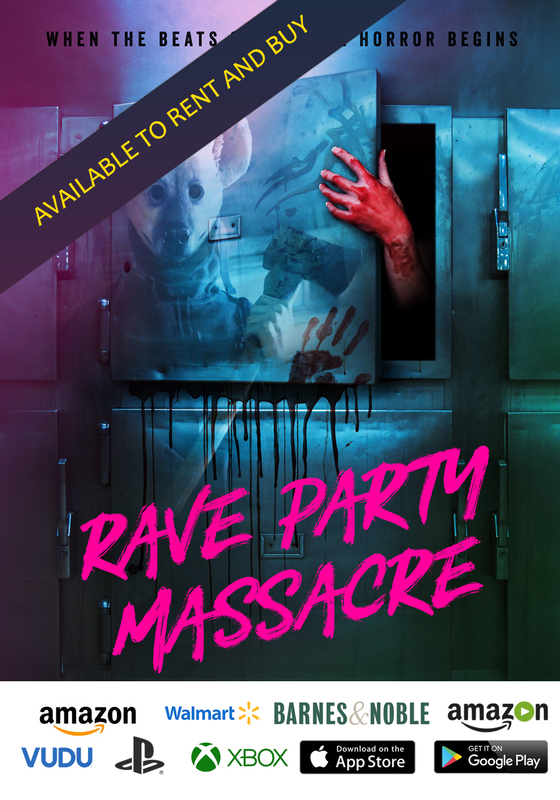 This dark comedy narrowly avoids a crash as Frederik and Rasmus descend into chaos and depravity. Frederik and Rasmus explore the seedy side of China. 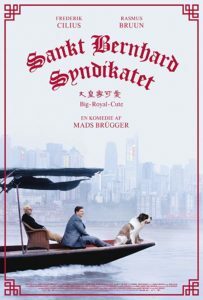 Reminiscent in many ways of the 2004 Czech documentary “Czech Dream,” there are moments in “The Saint Bernard Syndicate” when you get an almost mockumentary vibe. Shot by Jonas Berlin, the visual scope is instantly relatable to anyone familiar with reality television. This approach infuses the movie with a built in credibility, leaving you with the impression that you’re watching real events as they transpire. The script, from Lærke Sanderhoff, capitalizes on the improvisational tone introduced by the visuals. And Sanderhoff never takes the safe route, skewering almost everything as the business partners blunder their way through a small fortune while wooing local investors. What is most telling is how utterly clueless Frederik and Rasmus are. When they think they have the upper hand, they realize that their smiling investors may actually be playing out a sophisticated financial game. A potential Chinese investor bonds with Dollar. “The Saint Bernard Syndicate” is certainly a success, made on a limited budget with a devoted cast and crew. And filmmaker Brügger, whose next film is a controversial documentary, is one to watch as he fine-tunes a fusing of genres.